What a weekend. I absolutely love General Conference. 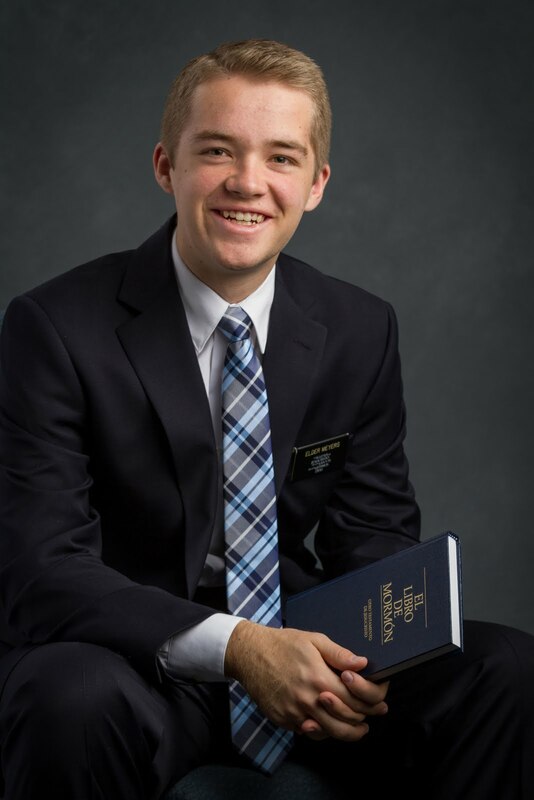 What a wonderful opportunity we have every six months to hear directly the messages and counsel our Father in Heaven desires to give to us, His children. He truly loves us, and wants us to return to Him. As we have listened to these wonderful messages, I would invite each of us to think about the things that we have felt, the impressions that we have received. Write them down. Don’t lose them. Follow the first prompting. Set goals that you would like to achieve, based on the impressions that you have received from the Holy Spirit, and then make plans that you will follow to achieve those goals. I promise that as you do this, the Lord will guide you through His Spirit, and you will feel the presence of the heavens in your life increase. This last week, we had some great lessons. We had an especially great lesson where we went with two active members of the Elder’s quorum, Hno Arriola and Hno. Martinez, our ward mission leader, to visit one of our investigators, Exxx, who is 19 years old. We talked about the importance of coming unto Jesus Christ, and shared the new Easter video, Prince of Peace. (an excellent video, look it up and share it with the world!) It was so wonderful to see the members really getting involved, going to the homes of the investigators, getting to know them, and offering their help and assistance. 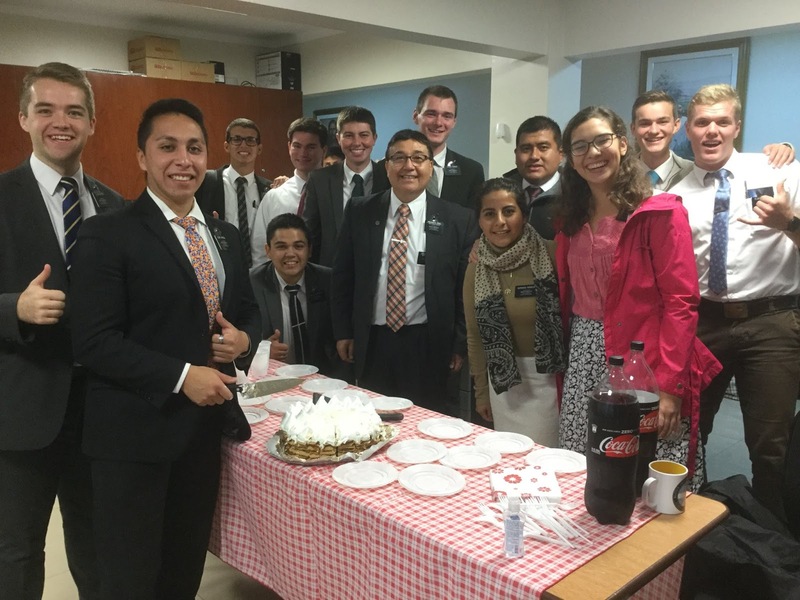 Truly, member missionary work is the best way to do the Lord’s work. 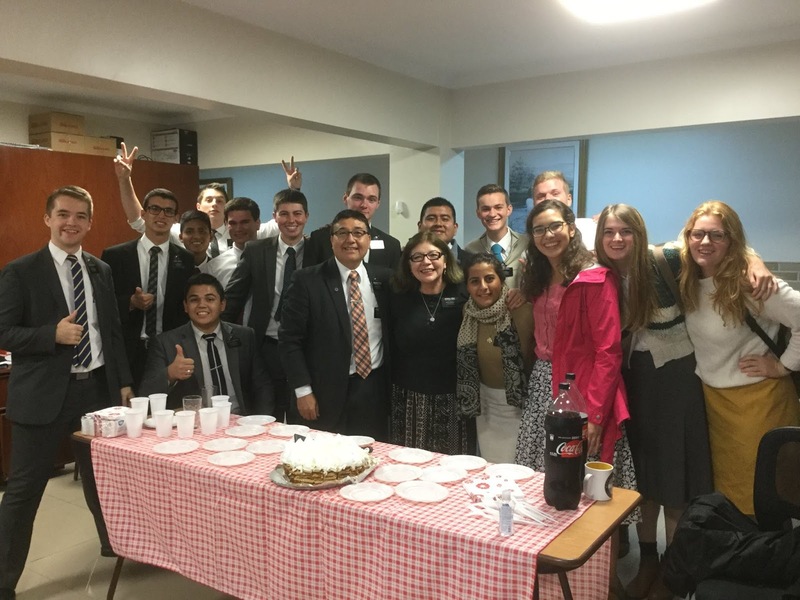 We as missionaries have offered to do so many things, but we can’t do them like the members can. We teach, and baptize, but that is really it. We get people started, but the members are the real champions who help them continue faithful and strong in the gospel. One thing that I have been thinking about recently, and especially in conjunction with the messages from general conference, is the importance of charity in all that we do. As we truly love others, we do everything we can to help them grow. As President Uchtdorf taught, we shouldn’t motivate people by fear, but by love. In 2 Timothy 1:7, it states: “For God hath not given us the spirit of fear, but of power, and of love”. I have felt in the mission that as my love for others has grown, my desires have changed, I have found more happiness, joy, and peace in my life. The love of Christ will change our very natures. I know that this is the gospel of Christ, and that living prophets and apostles direct us in today’s world. May we ever learn more from His chosen servants and apply their words in our lives so that we can become more like Him. Getting ready for the first conference session! All the English speaking missionaries, (Me, Elder Parker, Elder Orgill, Elder Pinkston, Elder Dillon) and Elder Henriquez, who has learned a lot of English, and decided to watch a couple of sessions in English. We watched it in English upstairs in the Institute room. 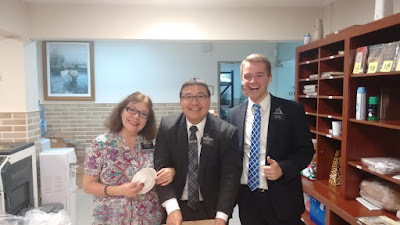 Presidente and Hermana Perez bought a cake for us and served it to all the missionaries who were there for conference in between afternoon and Priesthood session. They’re the best.